For thousands of years people have used sun and stars for orientation. With the arrival of GPS-navigation this has become less important for pilots and seafarers. But some birds and butterflies still use the sun and/or the stars. We want you to get aquainted with what can be seen in the sky. To do so, we let you work with Starry Night (a planetarium program) and they make your own starmap (and learn to use it). Furthermore we think about why we think the Earth revolves around its axis and why we used to think otherwise. 1. A website about astronomy in general. 2. The website of the Hubble telescope with beautiful pictures of the universe. 3. 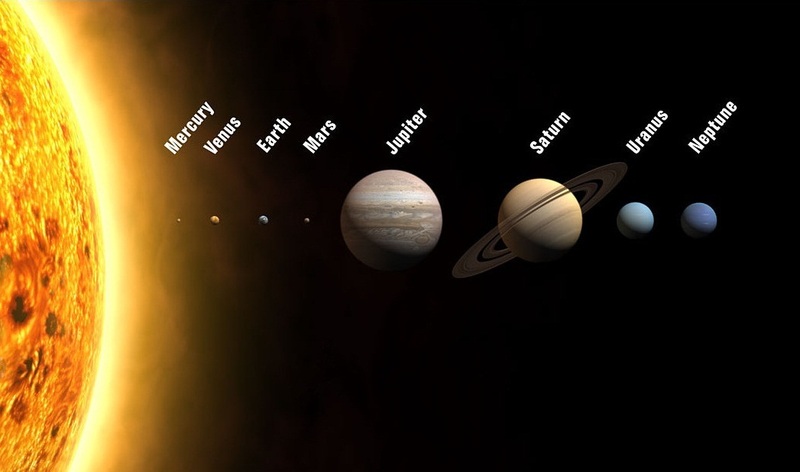 A stunning website which you can use to play with our solar system. 6. Fly through the solar system with this game: Ace of Space.